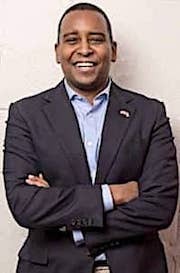 BOULDER — At first glance, Joe Neguse, a young, African-American attorney with funding and endorsements from state and national Democratic leaders, looks like an ideal candidate for Congress. But Neguse’s path to the Democratic nomination for Colorado’s 2nd Congressional district — a seat that includes left-leaning Boulder — may not be a cakewalk. Despite an impressive resume, and a backstory that exemplifies the American Dream, many progressives — the same voting block that overwhelmingly backed Bernie Sanders in the 2016 state caucuses — see Neguse’s ascendancy as a blatant example of establishment politics over people power. Williams has refused PAC money and labels himself an independent Democrat inspired by the style and message of Bernie Sanders. Critics contend that party insiders anointed Neguse as the heir apparent as soon as departing Congressman Jared Polis announced plans to run for Governor. Jan Crawford, a longtime political and media consultant, supported the claim. She said entities within the Democratic Party at the state and national level wanted the road cleared for Neguse, and blocked for all others. In an editorial published in the Boulder Daily Camera, former University of Colorado Regent Jim Martin raised a red flag at this apparent inside game. “A Democratic bigwig showed an advanced state of tone-deafness by dictating that, ‘We have to clear the field for Joe Neguse’ — a full year before the primary,” Martin wrote. That situation has led many progressives to call foul and claim the primary election was gamed in favor of a candidate blessed by the state and national Democratic power structure. Neguse’s backers don’t follow the fuss. “It is difficult to understand how one can describe a young black man and first-generation American running for Congress (in a district that is 90% Caucasian) as ‘just another Establishment candidate,’” Neguse’s campaign manager William Lindstedt stated. Neguse supports a liberal platform that includes fighting for a $15-minimum wage, Medicare-for-All, and an assault-weapons ban. While most progressives favor those same positions, many can’t shake the sense that Neguse is the latest member of a political machine that does little for the middle class or those fed up with politics as usual. That distrust was highlighted in a recent statewide political survey conducted by the American Politics Research Lab at the University of Colorado in Boulder. The poll found that Colorado voters “firmly disapprove of President Donald Trump, overwhelmingly dislike Congress, and give a sizable edge to Democrats in a generic Congressional election ballot,” said E. Scott Adler, American Politics Research Lab’s director. Neguse’s near-instant approval from establishment insiders does not sit well with progressives who want to rebuild the party from the ground up and eliminate big money from politics. “Joe is taking money from PACs,” said Ryan Reeves, who backed Bernie Sanders in 2016 and now supports Williams, not Neguse. Reeves contends that Neguse is not a true progressive because he has taken money from powerful law firms and high-ranking Democratic leaders like Steny Hoyer, the current House of Representatives Minority Whip. Neguse’s team pointed out that only 3.3 percent of the candidate’s contributions come from business-associated PACs. “He (Neguse) is one of only nine candidates across the entire country that has been endorsed by the Congressional Progressive Caucus, which counts among its members some of the most progressive leaders in Congress,” Lindstedt said. Despite that endorsement, Neguse failed to attend a recent political Q&A held by the Boulder County Progressive Coalition. The group’s chairman, Alan Rosenfeld, was not surprised by the snub. “Joe is from the corporate-money wing of the party,” Rosenfeld said. “I am not surprised he did not show up. Good article, balanced and fair. I did some research on Neguse’s PAC donors. Snell & Wilmer Law Firm where Joe works – represents BIG corporations to get through Regulations and defending big corporations of crimes brought by the DOJ. Hogan Lovells REVOLVING DOOR 7 out of 7 Hogan Lovells lobbyists in 2015-2016 have previously held government jobs Multinational Corp: We advise energy and power companies, utilities, independent power producers, and coal producers. Wolf Interests , an investment company. Husch Blackwell LLP Energy & Natural Resources Energy & Natural Resources team has the expertise you need. This is the exact reason that there is still a split within the party, it’s as if the establishment democrats didn’t learn a darn thing from the 2016 election. The state of the democratic party is disgusting and clearly in shambles. Haven’t they lost enough seats across the nation? (>1000) And now the republicans control every branch of our federal government — what will it take for them to see that what they are doing IS NOT WORKING! I for one, am sick and tired of having a cherry picked (anointed) candidate shoved down my throats a if my needs as a citizen mean nothing, as if I can’t make a decision to determine who is best for my community and will actually represent the people and not the big money donors. The research is in, we know that when a politician takes money from big money donors, they are expecting something in return — this is how almost all of Washington operates now, both democrats and republicans are GUILTY. And thank goodness for Bernie Sanders for showing us all that it does not have to be that way — he helped open our eye and move us to action. 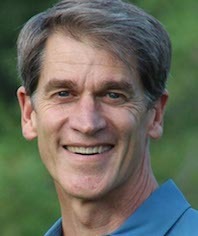 And thank goodness for Mark Williams for stepping up to run for Congressional District 2. Mark is ready and willing to fight FOR the people, he is not taking PAC money, he is against fracking and says so proudly. Not only does Mark Williams have my respect, he has my VOTE. Establishment Democrats have gone back and forth on whether to embrace the label ‘progressive’, or bury it. Nowadays they have committed to embracing it. But now there is a counter label to that: ‘establishment’. Which describes the majority of Democrats who covertly support fracking, the TPP, and the deregulation of corporate interests in most large industries. Voters are paying less attention to great speeches and more attention to where a candidate’s campaign money comes from. Joe Neguse gets a lot of his money from law firms that support big oil and other industries. His opponent, Mark Williams, the progressive in the race for Congress, does not. It’s the corporate PAC money that tells the real story and earns Joe Neguse the label of ‘establishment’. Joe Neguse is simply a get-along, go-along corporate Democrat. 21st century Colorado voters can’t follow the money! Joe’s problem in not skin color. It is, rather, figuring out who is talking when Joe speaks. Listen carefully to how this slick talker avoids clearly stating his position about environmental issues — like fracking or climate change. Listen to how he “fights for” quality health care, clean air and water, sensible gun-control, raising the minimum wage, and “our sacred right to vote”. It’s the expect-able list of progressive-sounding issues… phrased vaguely. Then ask why his wealth-driven contributors from private equity, hedge fund, power, coal, communications and pro-corporate law firms have set him up with such large sums of “early money”. To work against their interests? Not likely!